Indeed, just as technology has allowed the processes of filmmaking and distribution to evolve, so too has it caused a fundamental shift in the way audiences choose what to watch in the first place. Gone are the days of films relying on marketing, glamorous premieres, and a positive write-up in the national newspapers. Gone are the days of filmgoers looking to Barry Norman, or Roger Ebert for guidance. Instead, critics and viewers alike rush to post their reactions to films online – on Twitter, or Facebook, or Rotten Tomatoes – so all we need do is type the title in a search bar, and gauge the quality of the film without ever leaving the couch. 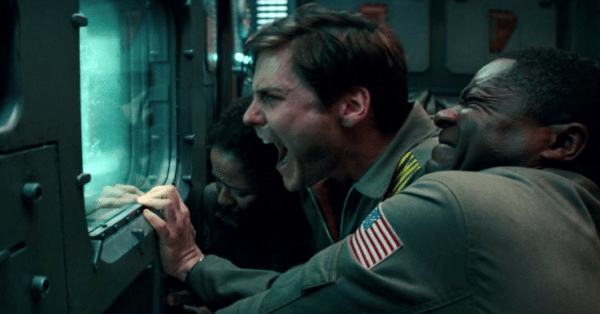 Thus, the initial excitement about the ground-breaking release of The Cloverfield Paradox was short-lived, as it was quickly overtaken by negative social media responses – but that’s not the point for Netflix. For Netflix, The Cloverfield Paradox is simply the latest battering ram against the hitherto closed door of high-profile film distribution. It doesn’t have to be a masterpiece, in the same way that David Ayer’s Bright received mixed to negative responses from viewers, but is still considered successful by the streaming platform. The Netflix model could not be more different from that of movie theatres, and so cannot be judged by the same criteria. 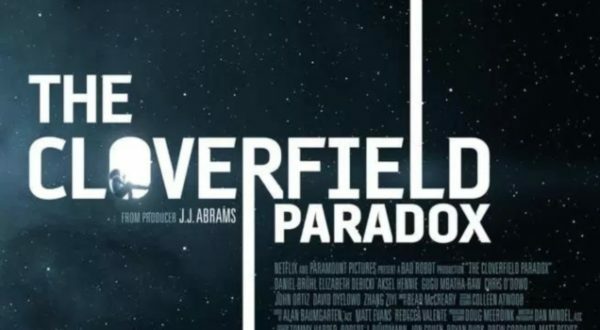 The consequence of The Cloverfield Paradox stunt, for Netflix, is that nobody knows when or how often it will now buy big studio movies, nor what those movies will be – so potential consumers are left with the idea that maybe it’s best to subscribe, just in case. Particularly since the cost is less than that of a standard movie theatre ticket. Customers of streaming platforms, such as Netflix and Amazon, pay their subscription fee which then gives them access to a vast library of film and television. When they decide to spend time sitting and watching something, they scroll through that library until they spot something that grabs their attention – something that fits their mood, or interest right at that moment. It doesn’t have to be a shining beacon of blockbuster glamour, or a gritty, sweeping drama – it just has to be enough to hold the attention for the next 90 minutes. Nobody has trekked across town, fought for a parking space, paid over-the-odds for entry, and been bombarded with thematically connected concession stands and commercials in order to enjoy this experience. That is not to say that streaming services are contributing to a reduction of overall quality of filmmaking – on the contrary, streaming platforms are succeeding precisely because they are constantly providing audiences with access to the kind of films that are rarely found in mainstream theatres, outside of crowded and expensive film festivals. The Hollywood studio film distribution monopoly has caused a general ‘squeezing out’ of smaller movies in generic urban multiplexes and this, coupled with rising ticket prices, has led to cinema trips being regarded as more of an ‘event’ than a regular leisure activity. The result is a somewhat elitist attitude surrounding the ‘theatres versus streaming’ debate. The language choices in the discussion that followed the release of The Cloverfield Paradox are a prime example of this underlying attitude. The suggestion that the producing studio “dumped” the film on Netflix rather than risk under-performance with a theatrical release speaks to an overriding presumption that streaming services exist to simply display the leftovers of the shining studio-to-theatre system, in amongst what is often perceived as the detritus that never even made it the big screen in the first place. This attitude is further borne out by the reporting of the planned release strategy for Alex Garland’s science fiction movie, Annihilation. 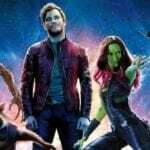 The film was set for a theatrical release on February 23rd 2018 but, as has been widely reported, disagreement between two producers has led to a split in distribution. It seems that, while David Ellison of Skydance had concerns about the complexity of the plot and argued for changes, Scott Rudin disagreed and supported the director’s vision. 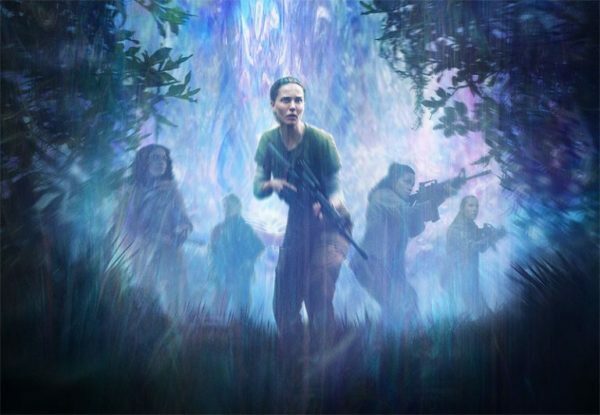 With a change in leadership at the studio – Paramount, again – happening as a backdrop, a deal was struck that would see a theatrical release of Annihilation in the United States, Canada, and China, with a global Netflix release just 17 days later. This framing – that an early streaming release is simply a way for a studio to cut its losses in the wake of creative discord or economic nervousness – serves to reinforce the idea of movie theatre screenings being the pinnacle of cinematic achievement, as opposed to the actual quality of storytelling contained therein. We know this because, while The Expendables franchise apparently has no problem finding ample screening space, films like Dee Rees’ Mudbound struggles to access a wide audience until it reaches Netflix. 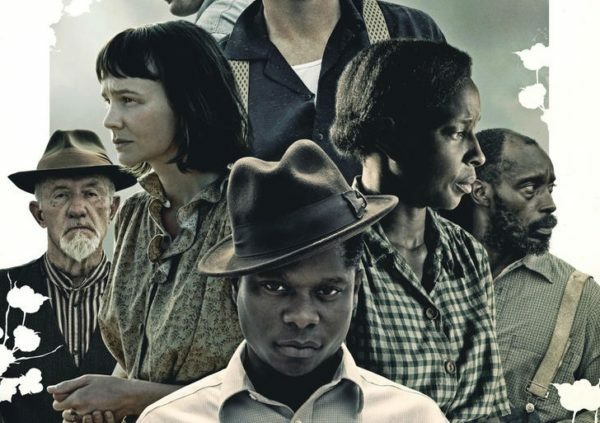 As Mudbound specifically demonstrates, the truth is that the evolution of cinema has proven to be cyclical in nature. While it was the influence of capitalism that created the very first permanent movie theatre chain – The Nickelodeon – from the occasional event screenings of motion pictures, it is also the influence of capitalism that has seen movie theatres now become the choice for ‘event’ screenings, while streaming platforms perform the function of the original Nickelodeons, in bringing entertainment to the masses. Indeed, as population sizes increase, and global economies repeatedly falter, it is simply the case that not everybody is able to access the movie theatre experience – due to either geographical or financial constraint. Detractors arguing against the rise of streaming services often focus on two points. Firstly, that watching film on a small screen – be it a television, a computer, a tablet, or a mobile phone – ‘disrespects’ the art of filmmaking; and secondly, that the very fabric of society is adversely affected, because a trip to the cinema brings people together in a communal experience. Surely having people opt to stay home and view films in smaller numbers – or alone – is detrimental to social cohesion? On the first point, it is important to remember that, back in 1894, the first opportunity for most members of the general public to see newly invented motion pictures was in penny arcades – on individual machines known as Kinetoscopes, which were essentially slot machines with small screens. Big screen projection was borne of the desire for larger crowds to watch together – and cinematic technique consequently evolved in response to that larger canvas being available. Now that we have basically come full circle, and are returning to the convenience of watching films on a small screen in increasing numbers, cinematic technique will continue to evolve accordingly – as it always has. On the second point, a smattering of brutal truth is required. If movie theatres wish to survive, then movie theatres need to change their model to reflect the way in which audiences have changed with modern times. The initial rise in popularity of the movie theatre (and the social cohesion they promoted) was closely tied to their additional role as an outlet for war-time propaganda – something we no longer need, since we now have rolling 24 hour news coverage on hundreds of television channels, as well as constant access to our social media accounts. Now, movie theatres exist for the sole purpose of screening film – and if that service becomes increasingly limited in range, or is provided at too high a price, demand for that service will inevitably fade. This is not the fault of the competition, nor is it the fault of the consumer. The medium of cinema may have evolved, but the pace of the evolution of movie theatres has failed to match that of technology and consumption. To be clear, it is not incumbent upon audiences to preserve the theatre-going experience. It is incumbent upon movie theatres to serve the needs of the audience they wish to attract. Otherwise, guess what? Audiences will find all but their ‘event’ movies elsewhere. That’s how market forces work.